Jako, a.k.a. Jacopo Aluzzi, is a musician and live performer born in the south of Italy. A pianist in his youth, he started playing classical music when he was 13, but quickly discovered the beauty of what soon became his preferred instrument, the bass guitar. 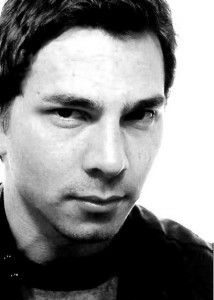 After playing in several bands he created a solo musical project in 2008, performing all the instrumentation, samples, and vocals himself, which lead to his love of making electronic dance music. Alongside with the live music, he loves to make techno and house electronic tracks as well, His productions ranging from house to techno to experimental, without any limitation or preference, the key is the music in every shape. His first release was on Undercut records, whose owner is DJ Limo, his best friend and partner in “Transition lab”, a project based on the intention to create something different: Underground atmospheres, pumping sound system, good music and a really nice place that makes this festival one of the most interesting in Puglia and is going to be home for a lot of the best underground DJs around the world.